Jim Cutler began cooking competitively as a friendly rivalry with his wife and fellow Spam fan, Beverly. The Springfield man took home bragging rights this year, as well as the title for the grand prize-winning recipe in the Great American Spam Championship. 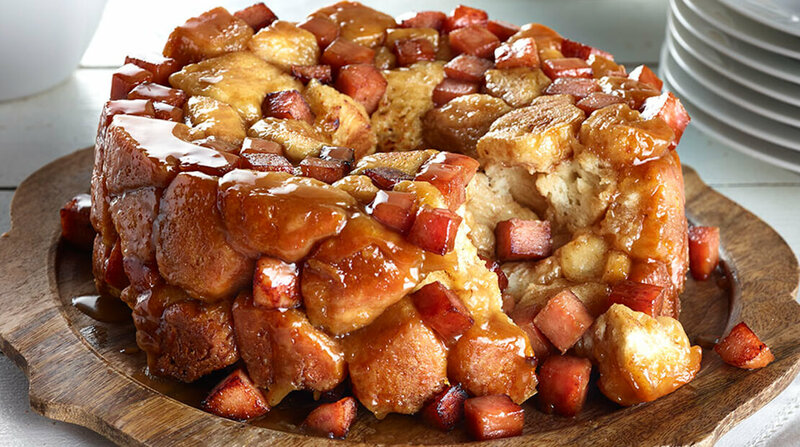 Officials with the Hormel Foods brand announced Wednesday Cutler’s recipe for Spam monkey bread won the national competition, beating 25 other finalists culled from state fairs. “I never dreamed in a million years one of my creations would win,” said the City Water, Light and Power lineman who has been entering the competition for four years. No small feat, considering Beverly has two red ribbons from the Illinois State Fair for her Spam bento box in 2013 and a Spam chorizo corndog in 2015. Jim won the first blue ribbon in the family at the 2017 Illinois State Fair, automatically advancing his recipe to Hormel Foods’ test kitchens for national judging. The challenge this year was to revamp a classic recipe with a simple, crave-able twist.